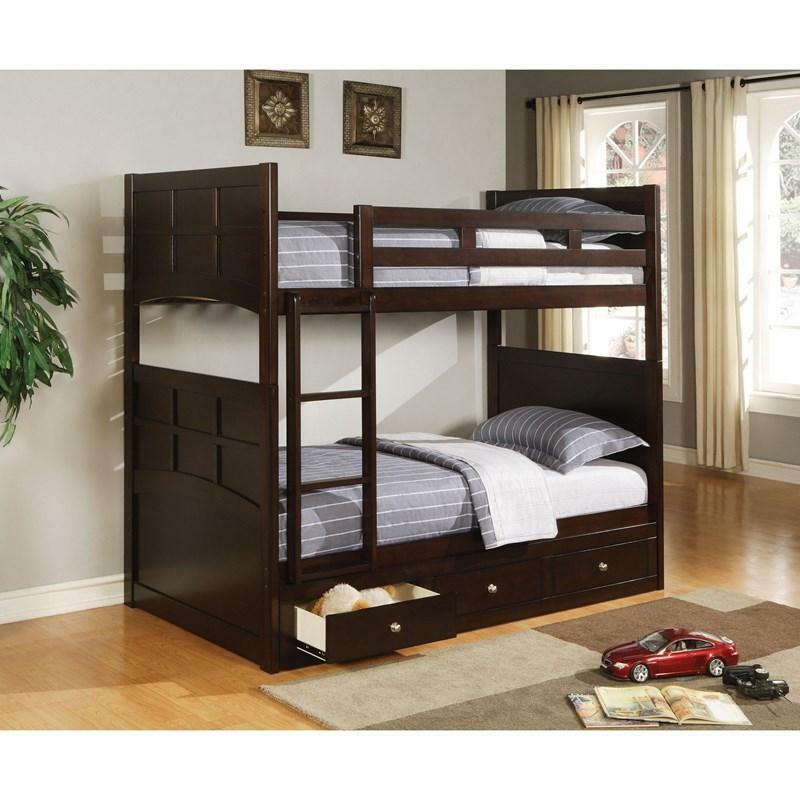 Designed to work with the Jasper Twin Bunk Bed, the drawers offer plenty of space to store bedding and bulky clothing. 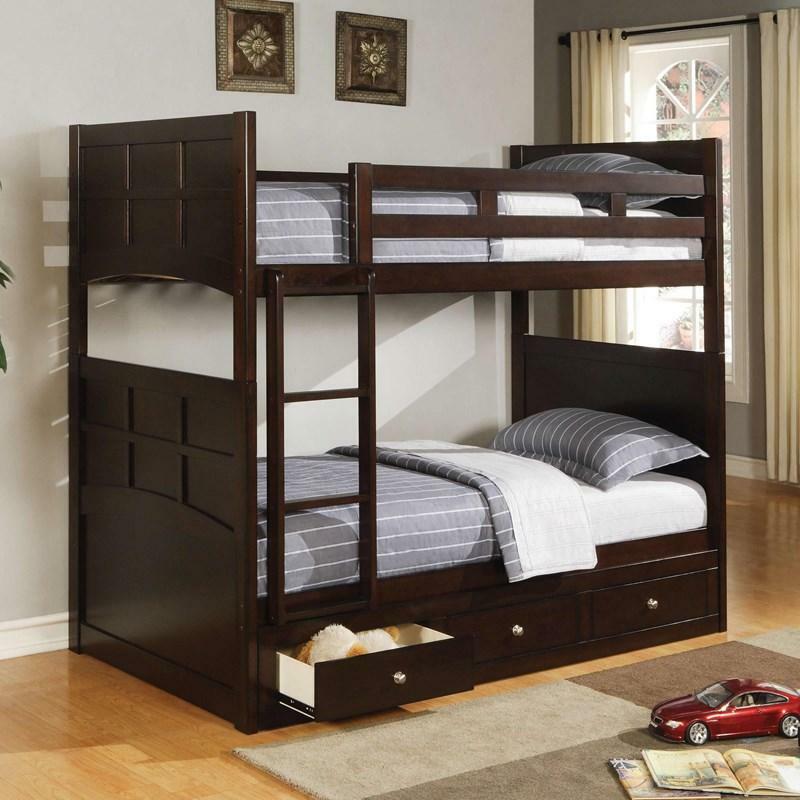 The perfect way to complete the Jasper Twin Bunk Bed, the under-bed storage offers the same stylish design and deep cappuccino finish with added metal hardware. Volume 11.3 cu. ft. / 0.32 cu. m.